Available NOW at: iTunes , Amazon, B&N and KOBO. Hey, y’all! Pull up a comfy chair. It’s been a while since we just visited. That’s what my grandma CindyJane used to call talking with friends and family. She’d say, “Sit down and let’s visit a while.” When I was little that meant for me to crawl up onto the couch beside her, snuggle in and tell her everything going on in my life. As a teen and young adult, it meant sitting at the table with her, my aunts and mom and talk about life, family, neighbors…everything and anything! My parents came from a small town in the Blue Ridge range of the Appalachians in Eastern Tennessee. I loved going there for vacations and visiting with all my extended family. Grandma CindyJane, Grandpa Sherm, my aunts, uncles, cousins. I loved the charm of the small town, saying hello to people who knew my family intimately. When I started writing the Westen series, a series of romances in a small Ohio town, I drew on the experiences of my Tennessee visits in building my fictional community. In CLOSE TO THE FIRE, I return to Westen for another visit with those friends. Lorna Doone is still running the Peaches ‘N Cream Cafe. Doc Clint and Emma still run the local health clinic with the help of taciturn nurse, Harriett. Gage and Bobby are busy planning their wedding and keeping the town safe with all the deputies of the sheriff’s department. But it’s been a long, dry summer and things are heating up in Westen, especially for Fire Chief Deke Reynolds. After ten years of keeping his distance to the one woman he’s always loved, Fire Chief Deke Reynolds is finally ready to set aside his grief and confess his guilt to Elizabeth “Libby” Wilson about his part in her brother’s death. Libby’s own guilty secret has kept her from sharing her life with the man who stole her heart as a teen and awakened her body as a young woman. A fire and their odd connection to a new teenager at the local half-way house have this couple finally sharing their secrets with each other. With an arsonist on the loose, threatening the town of Westen and its citizens, have Libby and Deke waited too long to find their love again? 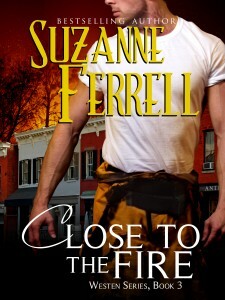 CLOSE TO THE FIRE is also a story about a young man finding a place to belong. Also, a much beloved character finds someone with whom to share his heart. And finally a community comes together once again to meet trouble head-on. 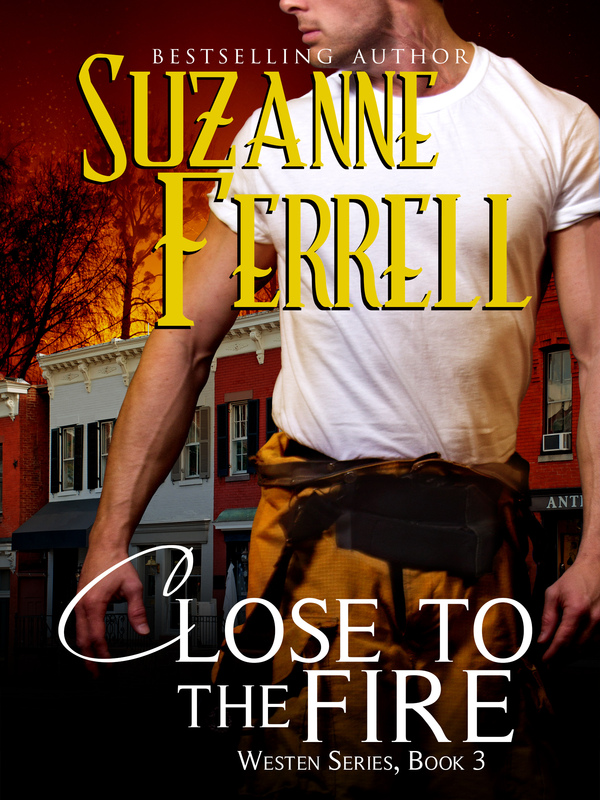 So, I hope you’ll pick up a copy of CLOSE TO THE FIRE and have a sit-down with the friends waiting to visit with you in Westen.